「안동 허백당」은 안동 풍산김씨 11세손 허백당 김양진(1467∼1535)의 종택(宗宅, 종갓집)으로, 1576년(선조 10) 산음현감(山陰縣監)을 지낸 유연당 김대현(1553∼1602)이 지금의 ‘영감댁(令監宅, 경상북도 민속자료 제39호)’에서 이곳으로 이전한 것으로 전해지고 있다. 당초 집은 임진왜란 때 소실되었고, 현재 종택은 김대현의 아들 김봉조(1571∼1630)가 다시 지었으며, 서편의 큰 사랑채는 1614년(광해군 6)에 건립하였다. 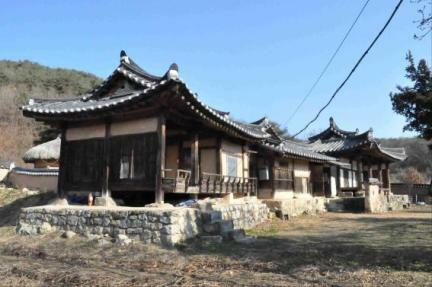 허백당이 있는 마을은 태백산의 지맥(地脈)인 동쪽의 아미산과 서쪽의 도인산, 안산(案山)인 남쪽의 검무산, 배산(背山)인 죽자봉의 가운데에 위치한다. 종택의 대문채를 들어서면 사랑채의 전면에 해당하는 사랑 외부공간이 자리하고, 정침(正寢) 좌측으로 독립된 사랑채 1동이 동향으로 놓여있는 등 배치가 다소 이색적이다. 종택의 중심인 ‘ㅁ’자형 정침은 뒤편에 흙담으로 구획된 여성 가사노동 공간이 자리하고, 우측 편에도 흙담 너머로 방앗간채가 있다. 아울러 북쪽에는 사랑으로 출입하는 협문을 두고 대지 가장 높은 곳에 별도의 사당 영역을 배치하는 등 공간구성이 다양하며, 전체적으로 남녀 공간이 확실히 구분되고 제향공간을 가장 높은 곳에 두어 당시의 유교적 건축배치가 뚜렷이 반영되어 있다. * 위 문화재는 일반적으로 관람이 가능하나, 소유자 등의 개인적 사정으로 관람이 제한될 수도 있습니다. 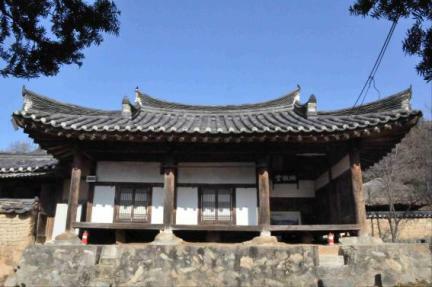 Heobaekdang House is said to have been inhabited by Kim Dae-hyeon (pen-name: Yuyeondang, 1553-1602) after he moved from Yeonggamdaek House (Gyeongsangbuk-do Folklore Material No. 39). 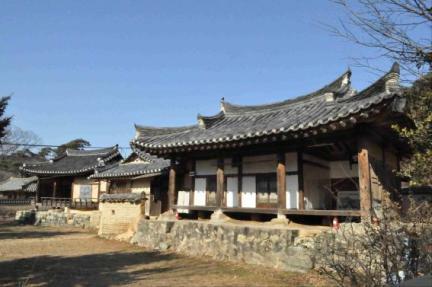 Following the destruction of the original building during the Japanese Invasion of Korea (1592-1598), the current head house was rebuilt by his son Kim Bong-jo (1571-1630), and the large men’s quarters (sarangchae) to the west of the main building was constructed in 1614 (the 6th year of the reign of King Gwanghaegun). 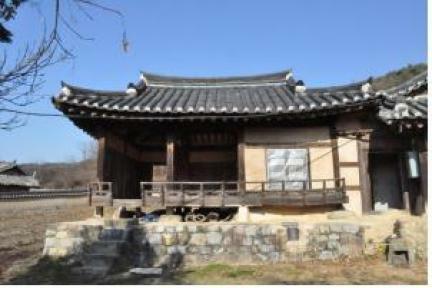 In general, the house is clearly divided into separate spaces for men and women; and the building for the performance of religious rites is situated in the highest position of the house according to the traditional layout of Confucian buildings at that time. 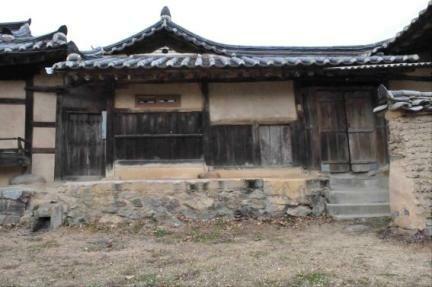 Heobaekdang House represents both the residential culture of aristocrats and the local characteristics of seventeenth and eighteenth-century Joseon, and preserves relatively well a number of documents related to the house, the formalities and customs associated with traditional ancestral rites, and the traditional lifestyle.